Days for Girls increases access to menstrual care and education by developing global partnerships, cultivating social enterprises, mobilising volunteers, and innovating sustainable solutions that shatter stigmas and limitations for women and girls. Together, we’re creating a world with dignity, health, and opportunity for all. We partner with weavers from rural villages in Cambodia to bring you stunning hand loomed krama (crow-ma). Our profits to support education for girls and opportunities for women in New Zealand and Cambodia through our partner charities. The krama (meaning scarf in Khmer) is an iconic, traditional Cambodian garment with a rich and beautiful history. Traditionally woven by women, krama are incredibly versatile, and its uses are only limited by your imagination. When you buy a krama it keeps the craft and a local tradition alive. What we also love is that the weavers can earn an income while caring for their children. Our vision is that women will be economically empowered to make choices and be able to effect change for themselves, their children and their communities. UN Women works to foster women’s empowerment and gender equality throughout the world. UN Women has identified six strategic areas that are of critical for the achievement of gender equality and women’s empowerment and which guide our work. Working to achieve gender equality To pursue these goals UN Women works with countries to formulate laws and policies which eliminate gender discrimination and promote gender equality in areas such as land and inheritance rights, decent work for women and ending violence against women. It also aims to transform institutions to make them more accountable regarding gender equality, to strengthen the voice of women’s rights advocates, and to change harmful and discriminatory practices in society. UN Women has programmes and projects in Africa, Latin America, the Caribbean, the Arab States, Asia-Pacific, Central and Eastern Europe (CEE) and the Commonwealth of Independent States (CIS). UN Women National Committee Aotearoa NZ UN Women NZ focuses on the same areas, both domestically and within the Pacific region. Our primary areas for attention are violence against women, leadership and participation and economic empowerment. A joint initiative of UN Women and the UN Global Compact. The Women’s Empowerment Principles* are a set of Principles for business offering guidance on how to empower women in the workplace, marketplace and community. They are the result of a collaboration between UN Women and the United Nations Global Compact. The development of the Principles included an international multi-stakeholder consultation process, which was launched in March 2009. We are leading the Gender Equal NZ movement. We are fighting for gender equality because we want all New Zealanders to have the freedom and opportunity to determine their own future. Discrimination can be more subtle than it once was. We see it in our everyday interactions, with subtle gender inequality being revealed in attitudes and assumptions. For some, gender inequality is more obvious. For all of us, the job is not done. Find out more here. We are an umbrella organisation with a volunteer board and 15 branches nationwide. More than 200 organisations, as well as individuals, are members. Established in 1896, we have led or supported many initiatives that have benefited New Zealand communities. Gender Equal NZ ~ We are fighting for gender equality because we want all New Zealanders to have the freedom and opportunity to determine their own future. Discrimination can be more subtle than it once was. We see it in our everyday interactions, with gender inequality being revealed in attitudes and assumptions. For some, gender inequality is more obvious. For all of us, the job is not done. Women IN Urbanism Aotearoa ~ We’re transforming our towns and cities into more beautiful, inspiring and inclusive places for everyone by amplifying the voices and actions of all women. Christchurch Aunties ~ The Aunties help to provide sustained support for women and kids who have been through domestic violence. We seek to spread light to the most vulnerable. Women in Sport Aotearoa, Ngā Wāhine Hākinakina o Aotearoa, exists to transform society through leadership, research and advocacy, ensuring that all women and girls gain equity of opportunity to participate, compete and build careers in sport. We work across New Zealand and currently, we are also the global delivery agent for the International Working Group (IWG) on Women and Sport Secretariat & Conference 2018-2022. We are a not-for-profit. Our funding comes from a mix of Grants & Trusts, Donations, Fundraising & Gifts, and Commercial Partnerships. You can help too! Visit Support Us. Visit About to learn more and to meet Our People. Skylight Trust ~ We support people of all ages throughout New Zealand who are facing any kind of tough life situation, but we specialise in grief, loss and trauma. Our Resource Centre offers a wide range of specialist information about the different ways change, loss, trauma and grief can affect people. We can send information and support materials to you anywhere in New Zealand. Our work helps people to find ways to live with life’s losses, to build on their natural resilience and to move forward in their lives. We give them access to expert information, education, professional services, and support. We provide programmes in schools to help build resilience in children and facilitate support groups for people going through different types of loss. Skylight’s workshops provide professional development for people working in environments where they are supporting children, young people, families, whānau and communities, through challenging life events and crises. We advocate for awareness and systemic change at national government, local government and organisation levels, to ensure the availability of grief support in communities where it is absent. Women’s Refuge NZ ~ We are a women’s organisation for women and their children, here to help prevent and stop family violence in New Zealand. We are an independent, bicultural community organisation and have support services designed especially for children, young people, Māori women, Pasifika women and migrant and refugee women. We also assist lesbian women, older women and women with disabilities. You can contact us at Women’s Refuge to get help and advice about talking to friends or family members you worry are being abused emotionally, physically, sexually, spiritually or financially. We also run training programmes for communities and organisations to help educate people about the impact of domestic violence and how to work with women and children who have experienced it. As New Zealand’s most significant domestic violence organisation, Women’s Refuge takes a strong advocacy role by working to positively change policy and attitudes about domestic violence. We do this by lobbying the government and running public campaigns – all to help keep women and children safe. To find out more about us check out our latest news and events, learn how you can get involved and support our work, sign up to our newsletter, or contact your local refuge. Kia kaha. The Human Rights Commission was set up in 1977 and works under the Human Rights Act 1993. 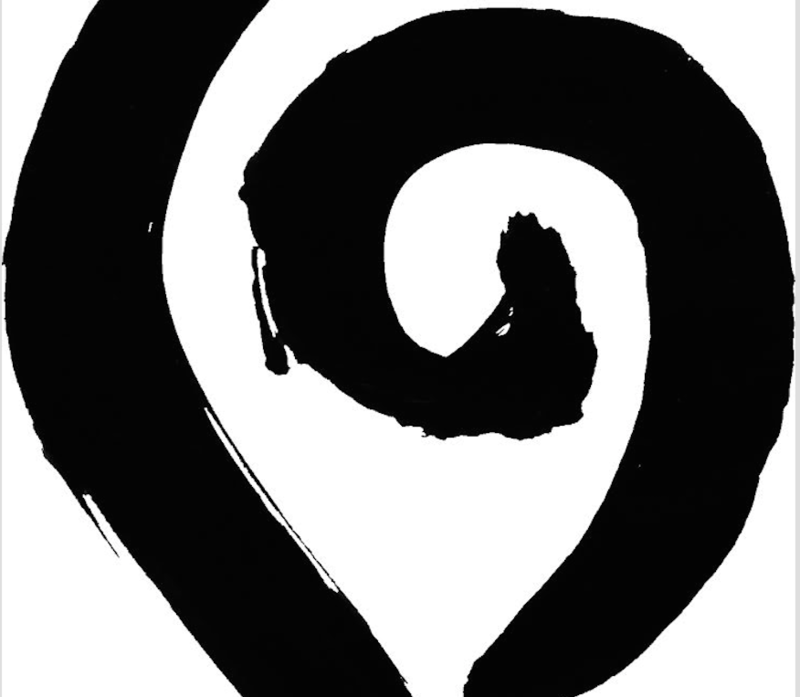 Our purpose is to promote and protect the human rights of all people in Aotearoa New Zealand. We work for a free, fair, safe and just New Zealand, where diversity is valued and human dignity and rights are respected. The Human Rights Commission was created to provide better protection of human rights in Aotearoa….and works under the Human Rights Act 1993. We are funded through the Ministry of Justice but operate independently of the New Zealand Government as an independent Crown Entity. We believe women are people, with the intrinsic human right to decide what happens to their own bodies. We believe the state has no business coercing anyone to become a parent without that person’s consent. We believe New Zealand law must be changed to reflect these principles. Providing support services to the Minister for Women. The Ministry carries out its work by acting as a catalyst for action and change, and by getting key issues on the agenda of government agencies and other relevant organisations. The Ministry provides accessible, evidence-based information to inform and assist others. The Ministry is strongly solutions-focused, with advice that is tailored and persuasive. The Ministry carries out its work by bringing the voices, experiences and priorities of different groups of New Zealand women to government. It also works closely with other government agencies, women’s non‑government organisations and stakeholders within the private sector. The Ministry’s work will bring benefits to women, their families and New Zealand as a whole. The Minister for Women is Julie Anne Genter. She is also Associate Minister for Transport and Health. The Ministry for Women also provides policy and administrative support to the National Advisory Council on the Employment of Women (‘the Council’). The Council is an independent advisory body to the Minister for Women on matters related to women’s employment. The OPMCSA has a small team that provides science-based evidence to the Prime Minister to inform the programme of government. The OPMCSA may also assist Cabinet Ministers with requests for science advice. Spend My Super ~ Spend My Super aspires to address inequality in New Zealand and so we’ve identified charities that are truly making a difference. We encourage generous New Zealanders to donate part or all of their superannuation to support the work of these outstanding charities and the important work they’re doing. The Wanaka Community House Charitable Trust was formed to build a Community House for Wanaka. A Community House is a building that welcomes tenants who provide social service to the region as well as for community groups. It is a centrally located facility that provides space in a cooperative and supportive environment and helps to build a sense of community and social wellbeing. The Trust was formed in 2011 to provide an independent non-affiliated entity to make the project happen. The Wanaka Community House will open in September 2019. Jigsaw Central Lakes ~ Jigsaw provides services to individuals, families and the community to support safe and healthy relationships. YWCA Auckland (The Y) is a charitable organisation with a heritage of providing free community programmes in Auckland for more than 132 years. The Y is part of the world’s largest women’s organisation, a global network of 25 million women leading social and economic change in more than 100 countries worldwide. Empowering young women is in our DNA. Historically, the YWCA movement has brought women together in all sorts of contexts – from affordable housing, to social clubs for women in segregated occupations, to groups for mothers isolated in new towns. During the 20th century, the emphasis on Christianity was replaced by an openness to women of all faiths and no faith. YWCA Auckland offers innovative multicultural and multi-faith projects and services strongly representing one of the biggest players fighting for young women and girl’s rights on the international stage. We’re not done yet… lets not kid ourselves. When it comes to 100% opportunity for young women, there is still a long way to go. It will take the energy, ideas and commitment of women of all ages and beliefs to make the change we want. WE STAND BEHIND YOUNG WOMEN for 100% SAFETY, OPPORTUNITY, FREEDOM, CHOICE, FAIRNESS.